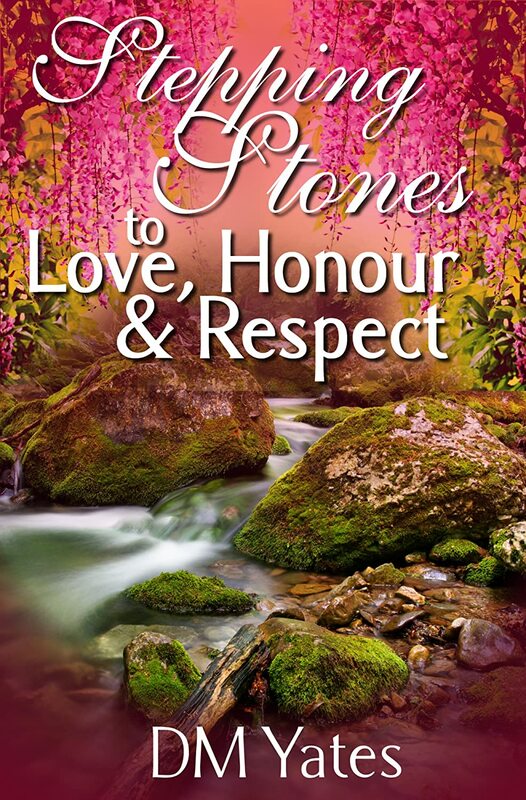 Stepping Stones to Love Honor and Respect is a book of poetry sure to warm the hearts and souls of the readers. The book is divided into categories: Love, Honor, Respect, New Age, Eclectic, Pain, Tales, Religious,Fun,Collections, and Earth. Each category is comprised of 5 different easy to read poems, most done in rhyme. My Review: It's very difficult to review a poetry collection. Since poetry is straight from the heart, all I can do is tell you my heartfelt reaction to the poems in this collection. Reviewing poetry is a bit like reviewing the poet's soul, and in this case, I'd have to say Yates' soul is pure, beautiful, and compassionate. The poems are divided into different sections, and I was able to choose favorites from each, though it was impossible to narrow it down to just one or two. I particularly connected with "A Warriors Call", which is a lovely tribute to men an women in uniform. "The False Treasure in Life" was another poem I flagged to read again and again. It talks about our society's obsession with acquiring things and how people replace true bounty (love, friendship, nature) with useless things. This is something I've contemplated numerous times, and Yates expresses her thoughts in a very clear and honest manner. "She Who Rides the Wind" is a very spiritual poem, and one I believe has great meaning to the author. It evokes the image of untamed land and the purity of nature. There are too many poems in the collection for me to pay homage to. I can honestly say I enjoyed them all. While reading, I could feel the poet's emotions in each piece. From fun and whimsical, to spiritual, to heart-wrenching, there is a little something for everyone in this collection. I'm so glad I read these poems and look forward to returning again and again to reread them. Tricia, thank you so much for this. I so appreciate what you said about my poetry. What a lovely review. I’ve known Donna for a while now, and I’m certain her soul is pure, beautiful and compassionate. This sounds like a very special collection of poems thank you for telling us about them. My pleasure. Absolutely loved everything you wrote. Thanks for your visit, Barbara. I would highly recommend reading Donna's poetry collection.